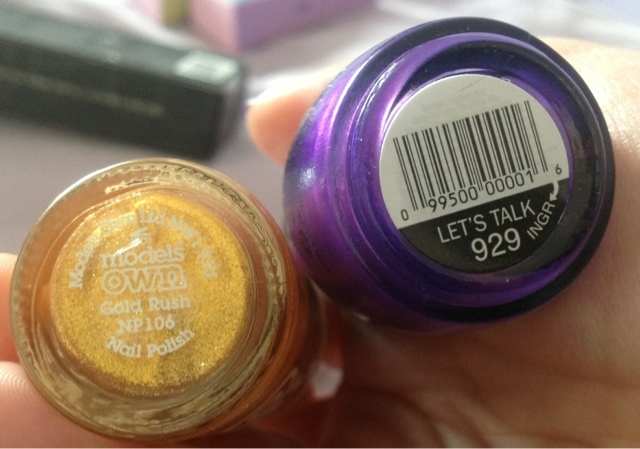 Sinful colors is new to the UK and a few months ago I spotted the stand in my local Boots and picked up 3 shades, one of them being let's talk, a deep gorgeous purple. 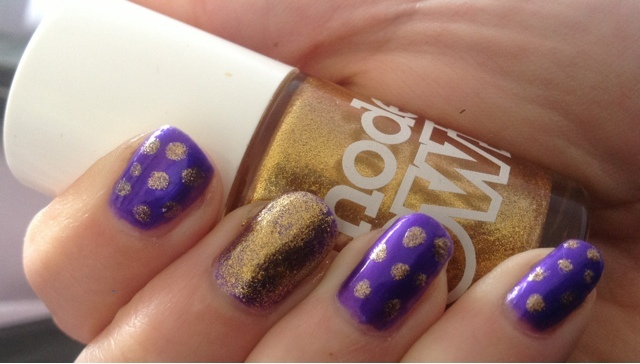 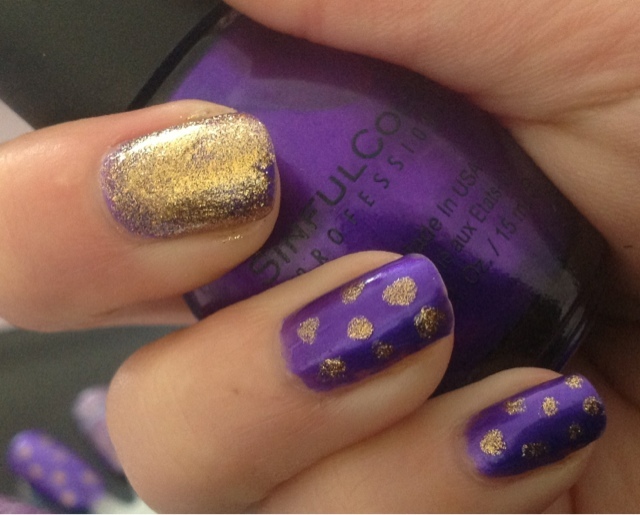 As soon as I painted my nails with Let's Talk it reminded me of Cadbury so I wanted to create this look. 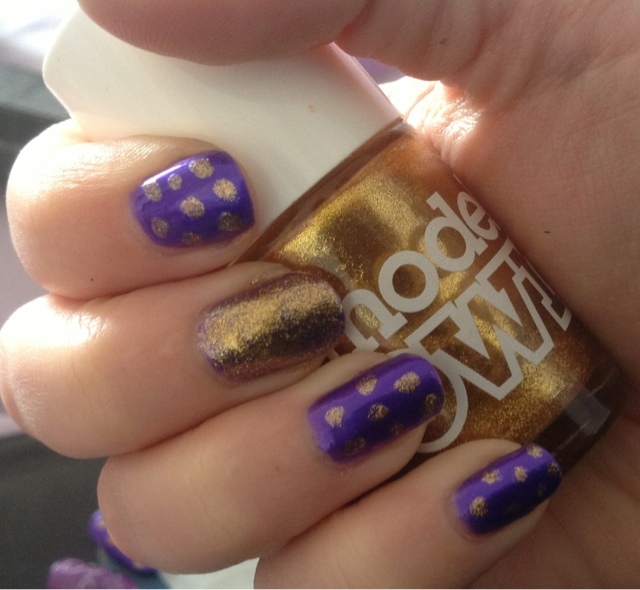 I took this and Models Own Gold Rush to create the iconic Cadbury look!